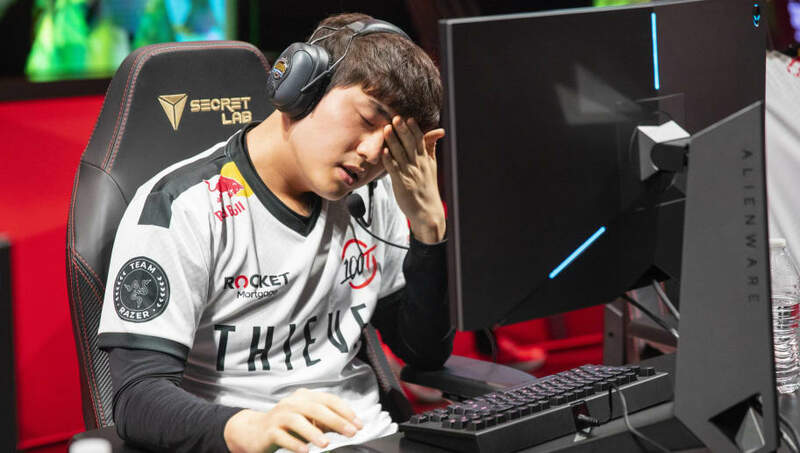 League of Legends Championship Series commissioner Chris Greeley addressed the controversy around 100 Thieves' use of minion blocking in its Saturday game against Clutch Gaming. Writing on Twitter, Greeley explained that minion blocking, the technique of intentionally slowing down a ​League of Legends team's own minions, is allowed, contrary to popular understanding. What isn't allowed is minion pinning, in which those minions are prevented from moving at all. When some people asked directly about minion blocking, they were told it is ok, which caused the information disparity. Our apologies to our teams and players, especially @ClutchGaming and its staff and players for our miscommunication. Teams have longed played under the belief that any kind of minion manipulation was against the rules. Greeley now says that isn't true, but that the fault lies with Riot Games for failing to make the distinctions clear. "We did a poor job of explaining to teams and players what is legal (blocking) and what is not (pinning)," he wrote, "and our answers to questions like 'is this legal' were usually met with a no, as we focused on pinning." ​Because 100Thieves only used minion blocking without the rule-breaking pin, their 1-0 win over Clutch Gaming will stand. The two teams now sit tied for fifth at 2-3 in the spring split standings. The LCS continues Sunday with games between Echo Fox and FlyQuest at 3 p.m. ET, Clutch Gaming and Cloud9 at 4 p.m. ET, Team Liquid and OpTic Gaming at 5 p.m. ET, Golden Guardians and Team SoloMid at 6 p.m. ET, and 100 Thieves and Counter Logic Gaming at 7 p.m. ET.